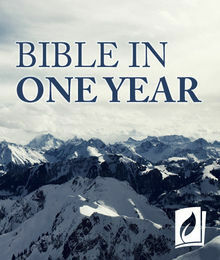 Read the entire Bible in one year. It only takes 72 hours in total, with an average of 12 minutes per day, which is less than 1% of your day. The Bible has been the guiding light for Presidents, Kings as well as families and children for millennia.